Seniors shouldn't have to give up their love of cooking just because they have difficulties with mobility or remembering things. CookStop™ can help create a safe environment for seniors to cook in. Headquartered in Milpitas, California, we provide reliable service throughout the United States and Canada. 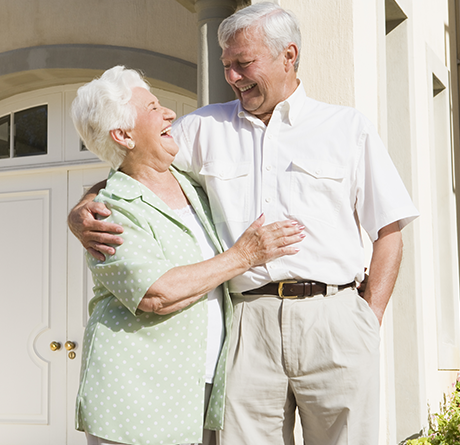 It's no surprise that as people grow older, they want to continue living in their own homes as long as possible. The natural process of aging tends to have an impact on one's ability to perform the simple activities of daily living. Gradual degradations in hearing, sight, smell, and the perception of time all come to bear on living independently — especially without the assistance from others. All too frequently, the deciding factor to move a loved one into an assisted care facility is brought on by unattended cooking accidents. CookStop can help prevent cooking accidents, allowing people to stay longer and safer in their own homes. Our amazing kitchen safety device addresses common situations as well as specific needs. "That's the second pot he's burned this month." "They were lucky it was only smoke damage."